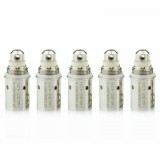 5pcs VapeOnly Bottom Vertical Coil Changeable atomzier head unit, suit both BVCC/ BDCC cartomizer tank. It's designed to last longer while giving users the purest and cleanest taste. 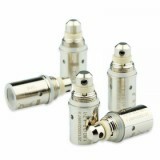 • It suit both VapeOnly BVCC and previous VapeOnly BDCC cartomizer/clearomizer/tank. I have been using these for the past 3 years. Compared to anything else I have tried these are hands down the best. 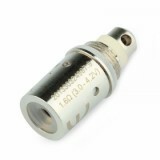 VapeOnly BVCC BDCC Atomizer Coil is a high quality atomizer coil, it has 5pcs per pack. It has voltage varying from3.0V-5.0V. It has a huge vapor. This coil is suitable for BVCC/BDCC clearomizer.